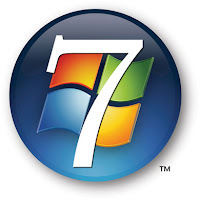 Microsoft today confirmed that the RC build of Windows 7 (aka build 7100) will be released to MSDN subscribers on April 29th and to the rest of the world on May 5th. So you could wait like the rest of us, or grab a torrent - someone already leaked it. I've been using consecutive builds of the beta successfully on 2 machines now, and I truly believe 7 is going to be what Vista was supposed to. The slew of new features and GUI tweaks I started using make it a bit inconvenient when I return to my production OS. Also today, Microsoft announced a new feature that will allow people (and developers) who are still attached to XP to migrate easily. It was formerly known as Virtual XP (VXP), but Microsoft renamed it XPM - XP Mode. Essentially, this is a virtual window running Windows XP, inside Windows 7 - without the need to install VPC or VMWare. The virtualization functionality is part of the OS. The feature will be released as an add-on to the system, and will be free for the business, premium professional and ultimate versions of 7. Bear in mind, you'd still need an XP license to use it - just like with every other virtualization software. You can read more about the feature in Paul Thurrott's blog, and see some screenshots as well. It remains to be seen if other operating systems could be installed in XPM. Oh, who am I kidding - 5 seconds after it's out, someone will hack it to run Mac OS X . And while on the subject of virtualization: last week Microsoft officially released MED-V, their desktop virtualization solution (based on a product by Kidaro, an Israeli start-up they acquired). While I recommend reading more about it, essentially it allows running separate applications in a virtual environment (not a full machine). This allows for compatibility and manageability of applications in enterprise environment. Example: if you're using IE8, but all your corporate software can only run on IE6 (and the two browsers cannot be installed side-by-side), you could install IE6 into a virtual MED-V environment (perhaps running an older OS) and have the 2 browsers up and running at the same time.